the mark is not very clear, but looks like a wonky sideways k. Any ideas? Hi. This is one mark I can say something about, and I don't think its in the literature anywhere. It is a mark that turns up not infrequently suggesting a reasonable volume of output over a fairly lengthy period of time. 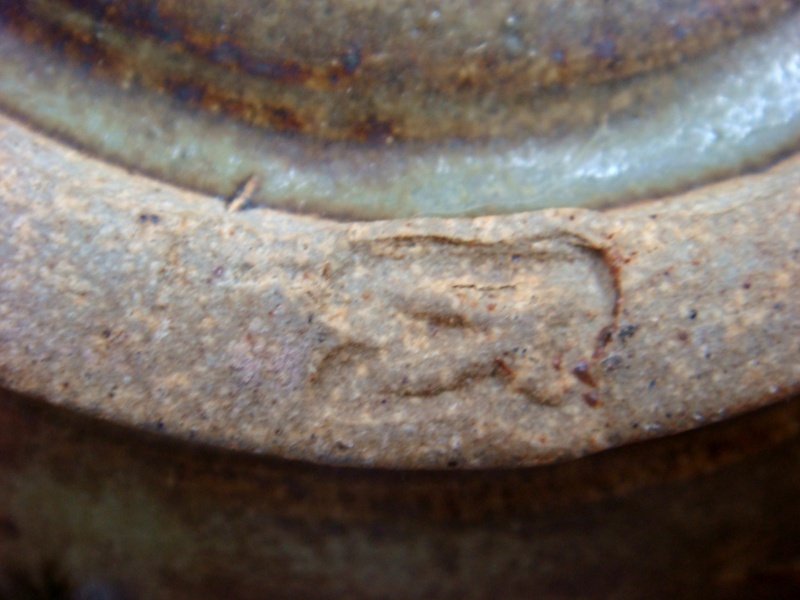 Several years ago we sold a stunning charger on Trademe (with a big chip unfortunately) that looked like Shoji Hamada himself could have potted it; only it wore this very 'K' potters mark on the bottom of the base rim exactly as here. 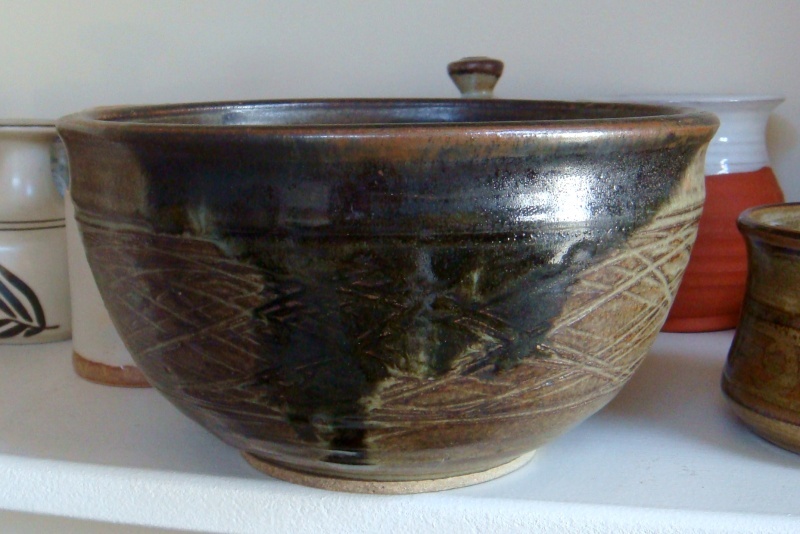 The gentleman who purchased it came around to pick it up several weeks later and as the piece was so eye-catching and well put-together, I had to ask him if he knew who the potter might be. The disarming answer was, 'Me in about 1983'; and the gentleman standing at our at our door's name was Roger King. He seems to be someone who has tended to shun the limelight, but was/is well schooled in the best Anglo-Oriental glazes and techniques (I have since seen a couple of good shino pieces by him but he no longer pots). 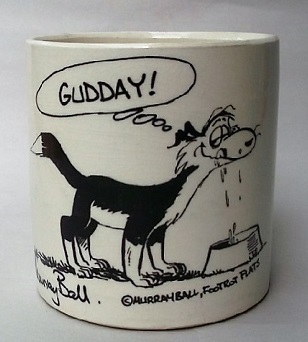 Virtually the only published reference to him that I can find, outside the New Zealand Potter magazines, is on page 96 of the book "Profiles of 24 New Zealand Potters" (Cecelia Parkinson and John Parker, 1988). Here Shane Wagstaff talks about meeting Roger King through 'The Potter's Gallery" in New Plymouth after which he went to work in King's studio for 18 months. This pot is by one of those potters who probably deserves a longer entry in yet to be written New Zealand ceramic histories. Wow, thank you so much teaandcoffee for all that information, and for sharing your experience on here. thats great info, thanks im gona add that to my potters marks book.